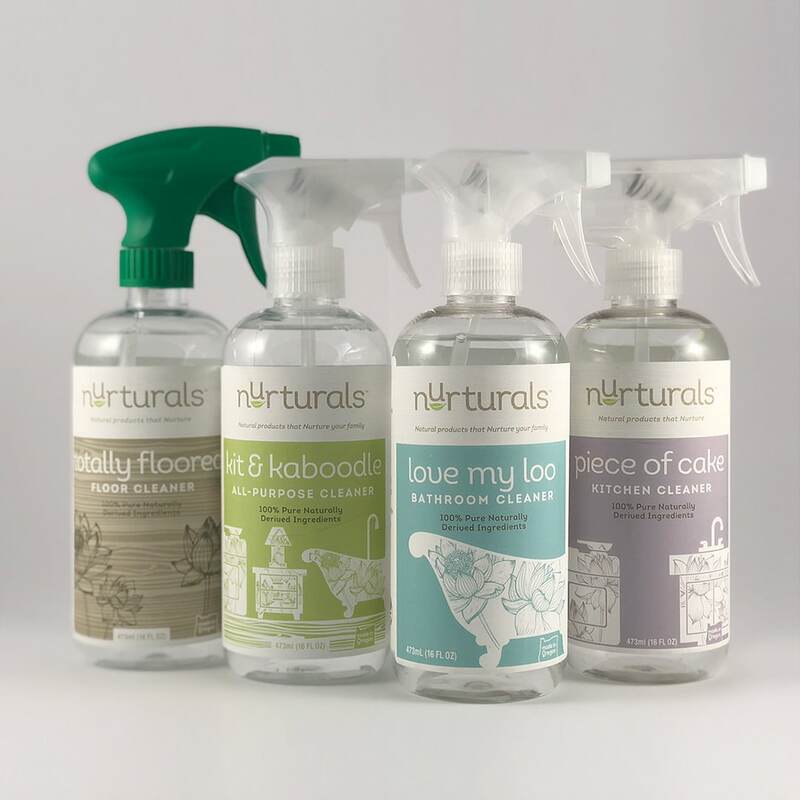 Nurturals has 100% naturally derived ingredients and safely removes bacteria, germs, grease, grime & tough stains from virtually every surface! 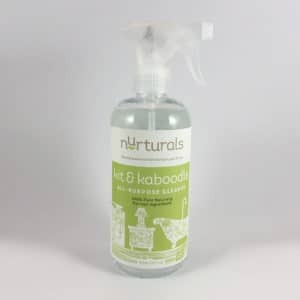 USES: Eco friendly, non-toxic cleaning products for all types of counter surfaces, toilets, showers, appliances, walls, upholstery, baseboards, sealed wood, floors, RVs, boats, odor neutralization, kid toys, pet bowls, deodorize pet beds; Spray on pet’s fur to repel bugs, ticks and fleas; Vehicle (interior & exterior); Laundry pre-treat and stain remover; Carpet stain remover; Extra Bonus: cleans and removes bacteria in plumbing as it goes down the drain! 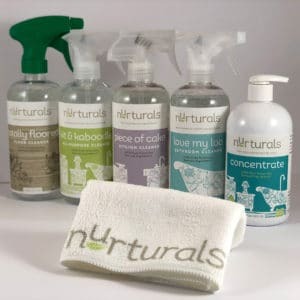 INGREDIENTS: Water, detergents, builders, grease cutters. 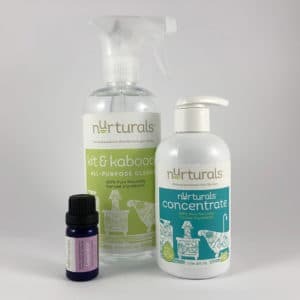 All ingredients used are derived from renewable, naturally occurring vegetable oils and fats such as palm, palm kernel and renewable non GMO agriculture resources such as corn and soybeans plus naturally occurring inorganic salts. May contain pure essential oils.